Washington, March 26: US Secretary of State Mike Pompeo spoke to Russian Foreign Minister Sergey Lavrov and called on Moscow "to cease its unconstructive behaviour" in Venezuela, the State Department said in a statement. In the phone call, Pompeo told Lavrov that "the US and regional countries will not stand idly by as Russia exacerbates tensions in Venezuela", reports Xinhua news agency. State Michael Pompeo Asks India to Join Boycott of Venezuelan Oil. 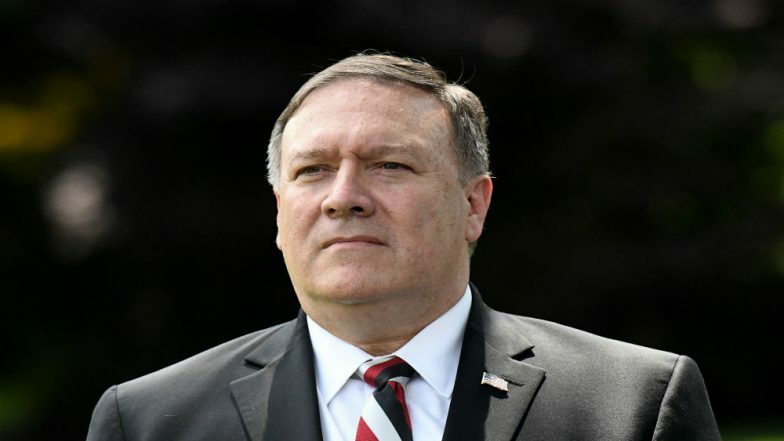 Pompeo noted that the presence of Russian military personnel in Venezuela "risks prolonging the suffering of the Venezuelan people". In response, Lavrov said: "Washington's attempts to organise a coup in Venezuela and threats against its legitimate government are in violation of the UN Charter and undisguised interference in the internal affairs of a sovereign state."